What does this mean for you? Well, it means that no matter who you are, if you drive a vehicle, it’s at risk of being stolen. It also means that the best way to prevent losing several thousand dollars worth of property is to take the necessary precautions to ensure that your vehicle is safe and secure at all times. Not locking your car, even when it is at home or in your garage, can result in stolen documentation, garage door remotes, or even vehicles. Leaving vehicle or home windows open, even during the hot summer months, may result in burglars being able to quickly enter and exit without ever being noticed. Placing keys in easily visible or obvious locations could lead to those keys being taken by home intruders, and used at later dates. Understanding the data associated with car theft can help you better prepare your own property to withstand car thieves. We’d like to showcase nine interesting Australian car-theft statistics, and provide a little bit of insight along the way. 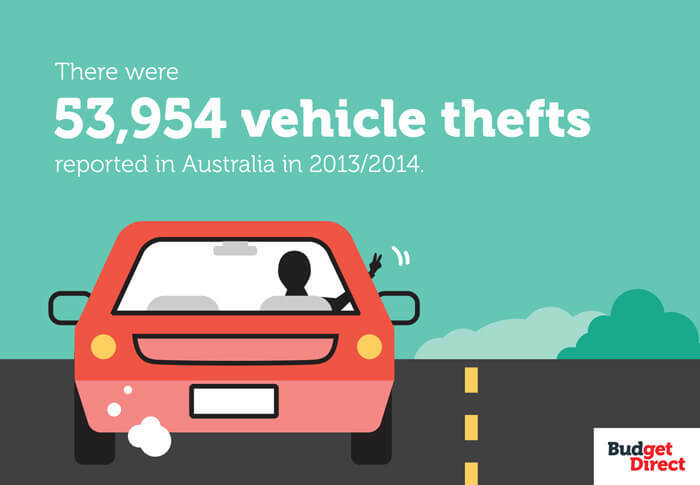 53,954 households were victims of vehicle theft in Australia in the 2013/2014 financial year3. When compared to many other countries, Australia has a very low number of annual car thefts (the United States had an estimated 699,594 vehicle thefts in 2013 alone4). On the other hand, 53,954 still amounts to hundreds of millions per year in losses. Those that fail to recognise this fact put themselves in danger of becoming complacent, and those who act complacently in regards to vehicle security often make things much simpler for potential thieves. All vehicles 25 years old or newer are required to have immobilisers5. Immobilisers are special security devices that are installed in vehicles. These devices make it impossible to manually activate a car engine without the use of a specific key. This effectively eliminates ‘hot-wiring’ as a vehicle theft method. So how is it that over 50,000 vehicles were stolen in 2013/2014? The answer is very simple: Thieves are now targeting car keys first. Car owners who leave their keys in easily-accessible locations may be increasing their likelihood of having a vehicle stolen. Theft due to unlocked cars has become such a problem that police in some areas are now issuing fines6. Unlocked cars may also be a tempting target for thieves, even when those cars are fitted with immobilisers. This is because many thieves will attempt to steal things such as garage door remotes in an effort to get into an owners home. Once inside, they can then search for car keys, as well as other valuables. Thieves may also enter an unlocked car in search of personal identification or official vehicle documentation, which can be used in identity-theft related crimes. An estimated 53 passenger and light-commercial vehicles are stolen each week in Australia for conversion into scrap metal2. Many car owners assume that because the cars they drive are neither new nor flashy, that they needn’t be concerned with potential car theft. The reality is that not every car that is stolen is being considered for resale; many stolen vehicles are taken simply because they can be dismantled into valuable scrap metal. Owners of older or used vehicles who fail to take the same precautions as owners of new vehicles put themselves in danger of losing a car, and never being able to recover it. It is estimated that approximately 21 passenger and light-commercial vehicles are stolen and exported from Australia each week2. Of those vehicles that are not converted into scrap, many don’t even remain in Australia after being taken. When this occurs, the chances of recovering the vehicle in question become practically nonexistent. Vehicle owners who rely on recovery methods rather than on prevention methods may find that there is nothing left of a stolen vehicle worth recovering. Assuming that each stolen car contained an average of tank of petrol, car thefts in Australia amounted to an additional $500,000 in fuel-related losses in 2013/20142. Although the price of petrol has been declining in recent months, there are few who would be willing to claim that fuel is ‘inexpensive.’ And while half a tank of petrol (or even a full tank of petrol) may not make that much of a difference when one has already lost a several-thousand-dollar vehicle, the cost of lost fuel does add up quickly. Those who don’t take adequate precautions against vehicle theft often stand to lose money in ways that aren’t covered by basic insurance policies. Of all types of vehicles, stolen motorcycles have the lowest rate of recovery, with only 43 per cent of reported thefts being recovered7. 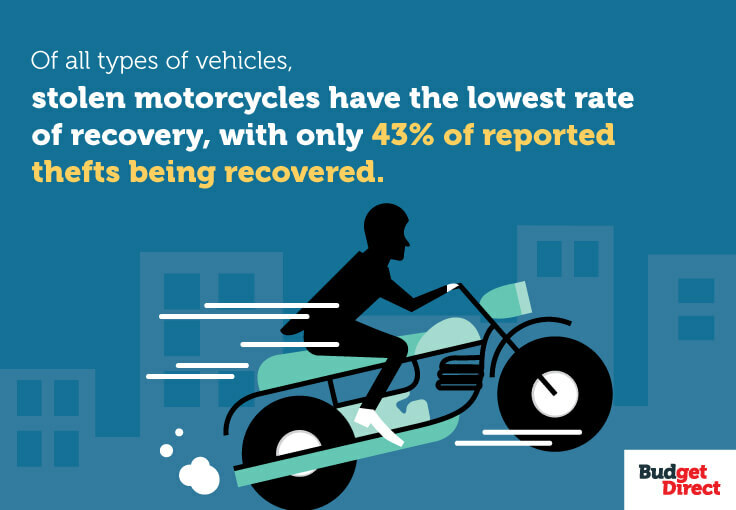 Although the recovery rate of stolen vehicles in Australia is fairly high (approximately 75 per cent of stolen passenger and light commercial vehicles are eventually recovered), motorcycles are much more difficult to recover. As such, motorcyclists who fail to take precautions to defend against theft (such as installing motorcycle alarms, locking the ignition, and locking the bike to some stationary and immovable object) are much less likely to have a stolen vehicle returned to them. 2.9 percent of Australian households experienced theft of property from a motor vehicle in 2013/20148. Even among vehicle owners who use immobiliser devices and keep their keys in safe, secure locations, there are those who experience vehicle break-ins. Why? Well, often it’s because they make the mistake of keeping valuable objects in the vehicle. Wallets, electronic devices, jewellery, and even clothing and jackets can be attractive prizes to thieves. Unlocked and unsupervised cars which contain such items are easy targets, and some thieves will even be willing to break a window to get to some of the more expensive items. Those who leave valuables sitting visible in their cars often discover that even when a thief can’t steal a car, he or she will often settle for stealing from a car. About 47 percent of stolen vehicles are stolen from either the home of the owner, or from the home of an friend of the owner9. People tend to assume that when a vehicle is at home, it’s safe. This is simply not true. In fact, the reason that such a high percentage of vehicles are stolen from homes may well be that owners fall into a false sense of security, and fail to take precautions. Car theft can strike anywhere; when vehicle owners forget that, they set themselves up to become victims. Keep the car locked. We touched on this briefly above, but your car’s door locks are the first, and often the most vital theft deterrent system that your vehicle has. Breaking into a locked vehicle requires time and know-how, and as such, many thieves prefer to simply move on until they can find something more accessible. Don’t let your car be the easy option for a criminal who doesn’t know how to pick a lock; always lock your car, even when it’s parked in front of your home or even in your garage. Keep all of your windows completely closed when the car is unattended. Much like unlocked doors, open windows (even when only opened a small amount), provide thieves with an easy point of access to the inside of your vehicle. It’s much easier to pry open a window that is partially opened than it is to open one that is completely closed. Never leave your keys inside of your car. If there’s one thing more attractive to a car thief than an unlocked door, it’s a vehicle with the keys inside. Once a criminal get’s a hold of a car’s ignition key, there’s really not much else that can be done to prevent the criminal from escaping with the car. Refrain from hiding any keys—even spare keys—in your vehicle, because thieves with any real experience will know exactly where to look for them. Don’t keep important vehicle documents in the car. Many of us tend to keep our vehicle titles and registrations in our cars for easy access. However, a thief who gains access to these documents will have a much easier time selling your vehicle. Instead, keep your title filed away someplace secure—such as your home or office—and keep your registration information on your person (such as in a purse, handbag, or wallet). Keep your emergency brake engaged whenever your car is parked. Some thieves prefer to tow a vehicle away rather than brake into it and attempting to drive it away. An engaged emergency brake makes towing much more difficult. Park in well lit areas. The last thing a thief wants when attempting to break into a car is to rouse attention. To this end, try never to park your car in overly-shaded areas, or away from street lamps at night. Engine immobilisers. Immobilisers are theft deterrent systems that cut access to one or more vehicle systems (such as the starter, ignition, or fuel supply), and which automatically arm when a vehicle is disengaged. Immobilisers provide an added defence against thieves who might attempt to ‘hot wire’ your car. Bonnet locks. Some thieves aren’t after you car; they’re only after certain parts of your car. Criminals who gain access to the inside of your bonnet can help themselves to a number of vital and valuable components, many of which (such as the car battery) can be quickly and easily removed. A bonnet lock is a mechanism that is mounted externally on the car, and basically acts as a deadbolt for your engine compartment. And, in addition to reinforcing your vehicle’s existing latch, it also serves as a visual deterrent, warning thieves away before they choose to commit themselves. Wheel locks. These are basically civilian versions of the wheel locks used by the police to immobilise suspended vehicles. The lock clamps down securely around the vehicle’s tyre, making it impossible for the car to be moved. Visually, wheel locks function very well, forcing all but the most determined thieves to admit defeat. Unfortunately, wheel locks may be just as much of a hassle for vehicle owners, who will have to take the time to engage and disengage the lock by hand before and after every drive. Steering-wheel locks. Functioning in much the same way as wheel locks, steering-wheel locks stretch across a car’s steering wheel, securing it in place so that the wheel cannot be turned. The lock is engaged and disengaged with a key, and required a bit less effort to use than the locks that fit around vehicle’s tyres. Car alarms. Car alarms are probably the most widespread theft deterrent systems, and often come standard in various vehicle models. Alarms do little to actively prevent car theft from taking place, but instead are designed to scare thieves away by calling attention to the theft. VIN etching. Every legally manufactured car is assigned a unique identification number, which is then displayed on the vehicle interior (such as on the dashboard, or on the inner door frame). This makes it much easier for authorities to track and recover stolen vehicles. However, vehicles that are stolen and then dismantled in order to have their components sold off individually don’t have the same protection. By having your car’s VIN etched into the individual components, you can extend VIN protection to every part of your vehicle. GPS tracking. Stolen cars that feature GPS trackers are often recovered within hours of the theft. This is because GPS trackers give real-time location updates, which can be relayed to local law enforcement agencies. Some newer vehicles are being manufactured with GPS trackers built in, but for other car’s these devices have to be purchased and installed, and often require the purchase of an on-going service plan from the provider. Kill switch. Having gained a certain amount of notoriety after being featured on a number of police reality television programs, vehicle kill switches are devices that allow owners to shut down their vehicles remotely, such as in the event of a theft. Once activated, these devices prevent the vehicle in question from being able to operate until it is deactivated by the owner. 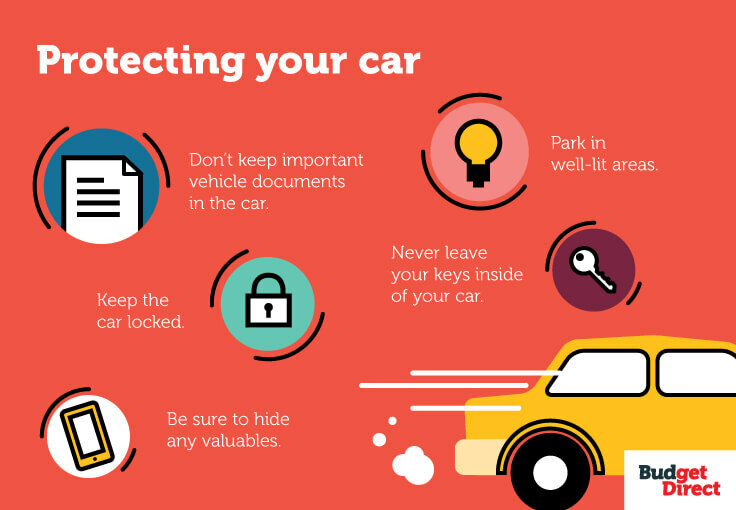 Simple preventative measures, such as those outlined may mean the difference between keeping your car, and having it taken from you. Make sure you have a Car insurance policy if the worst does happen. At the same time, understanding the data associated with car theft can help you better prepare your own property to withstand the rorting attempts made by car thieves.